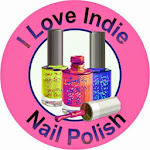 I recently tried a new Indie called Daphine Polish. I have one to show you today, with some fun nail art - and two for tomorrow. So, if you don't like today's post, you can skip tomorrow. Just kidding. I hope you come back. I like to think I'm not just talking to myself. Even at home, I talk to the dogs, and I pretend they answer back. Sooooooo.. This is a beautiful polish! This is A Herd of Beautiful Wild Ponies Running Free Across the Plains. It's a mouthful, huh. Apparently, this collection is inspired by the show Daria, and this references an answer she mistakenly gives on a psych evaluation. This nail art is inspired by one I saw on Boombastic Nails. I loved the scroll and the glitter over the soft colors. 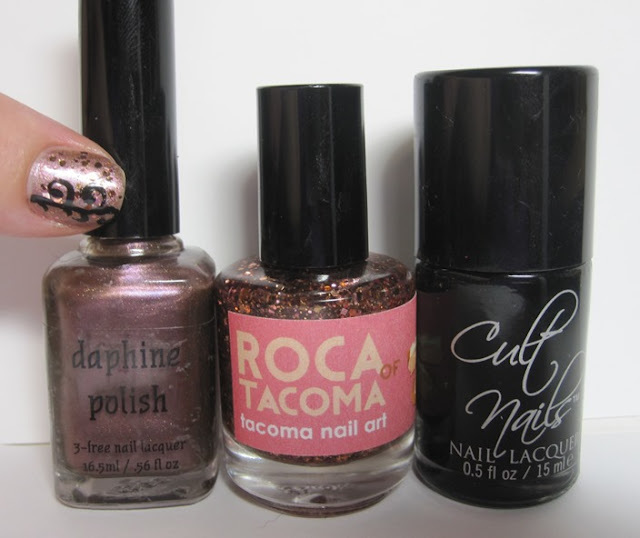 For the glitter, I used Sonoma Nail Art (jokingly renamed Tacoma Nail Art for this special release) Roca of Tacoma. Bottle shot: Daphine Polish A Herd of Beautiful Wild Ponies Running Free Across the Plains, Sonoma Nail Art Roca of Tacoma, and Cult Nails Nevermore. I thought that the formula on this new Indie was really good. I loved the color, too. I only have two critiques: one, she packs the bottles in sticky bubble wrap, so the bottles all have sticky residue on them. 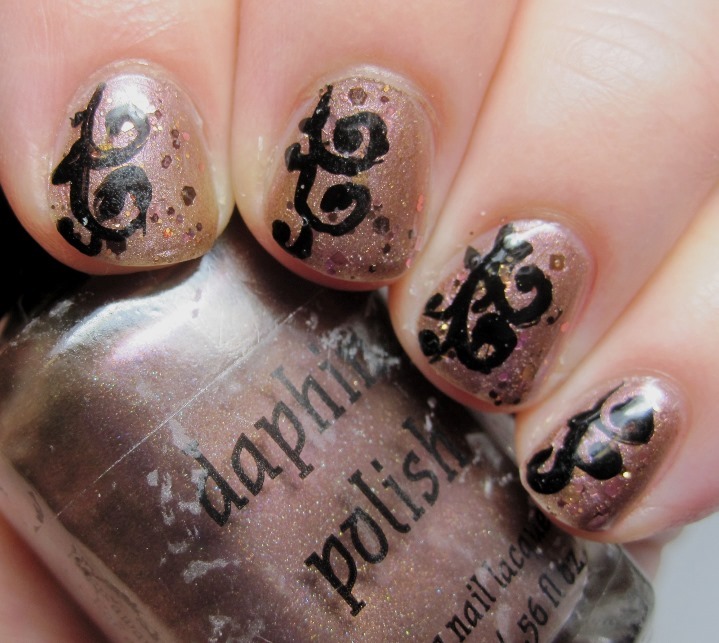 And, two, though it's not a problem for this polish, all of her labels have black writing. You'll see tomorrow how it makes it hard to read some of the labels over darker polish. I've already been in touch with her, though, and she's getting rid of the sticky bubble wrap, and will get more labels as her shop expands. 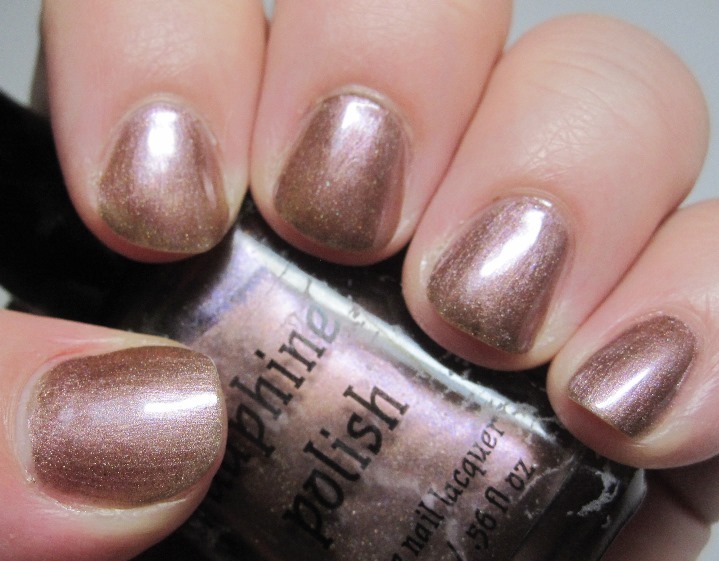 If you'd like more information about Daphine Polish, you can find her on Facebook and her Etsy shop. *Update 8.23.13* Daphine has let me know that she has new white labels available! I've been a fan of Cult Nails and Sonoma Nail Art for a while. Nevermore is a flagship polish, the ultimate 1-coat black. Cult Nails is on Facebook and her own website. 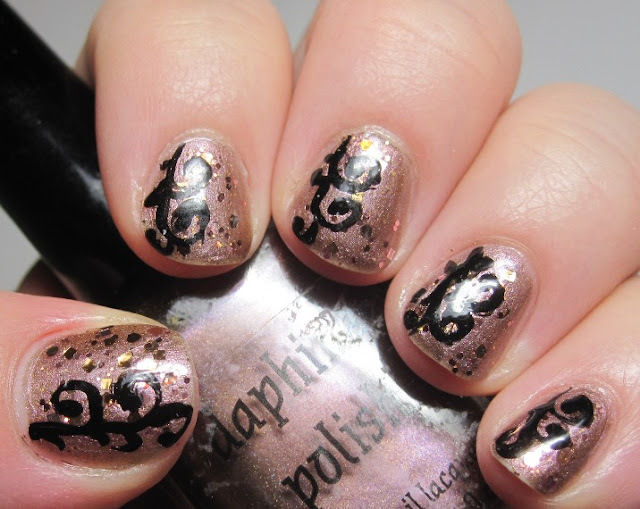 Sonoma Nail Art makes some really awesome glitters, and her formulas are flawless. Sonoma Nail Art can also be found on Facebook and Etsy. Thanks! I think it's a beautiful polish! I can't find your giveaway widget.I wanted to thank you for the awesome giveaway at ColorMeSoCrazy! Thank you!